“I think that the best short phrase to describe Sand is ‘serial crackpot’. [According to Sand] All the genetic evidence is fabricated and the Ashkenazim are really from Central Asia, Yiddish is a Slavic language in spite of being mutually comprehensible with various dialects of German, the ancient Romans were incapable of transporting large numbers of slaves across the Mediterranean in spite of having fed Italy from Egypt for centuries etc., etc., etc. He is almost certainly the only author in the modern, democratic world to write a book that relies on so many crackpot hypotheses in fields as diverse as genetics, linguistics, and history and to get it taken seriously by other academics and intellectuals. 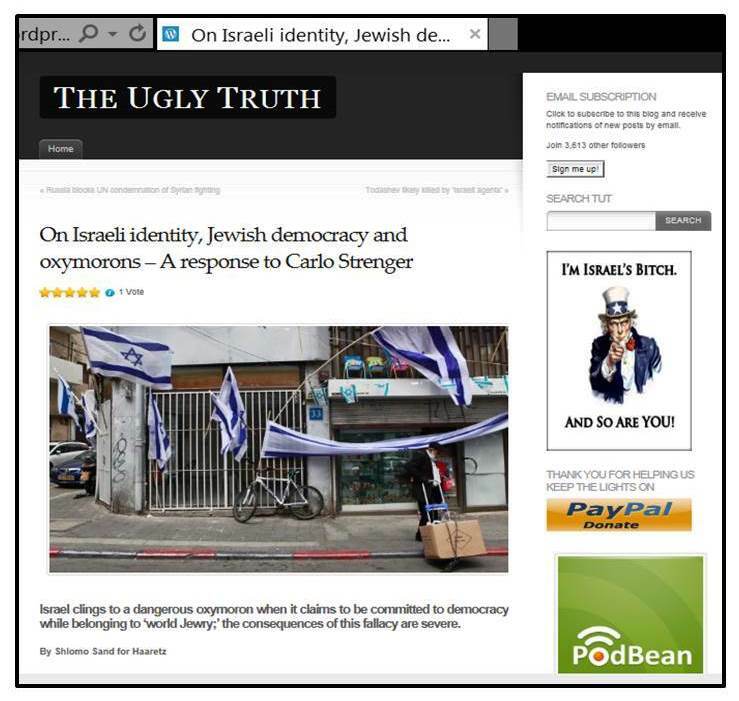 Below just a small sample of screenshots illustrating the company Sand’s admirers in intellectual and academic circles keep: Sand’s work is of course quite popular on Stormfront (here e.g. 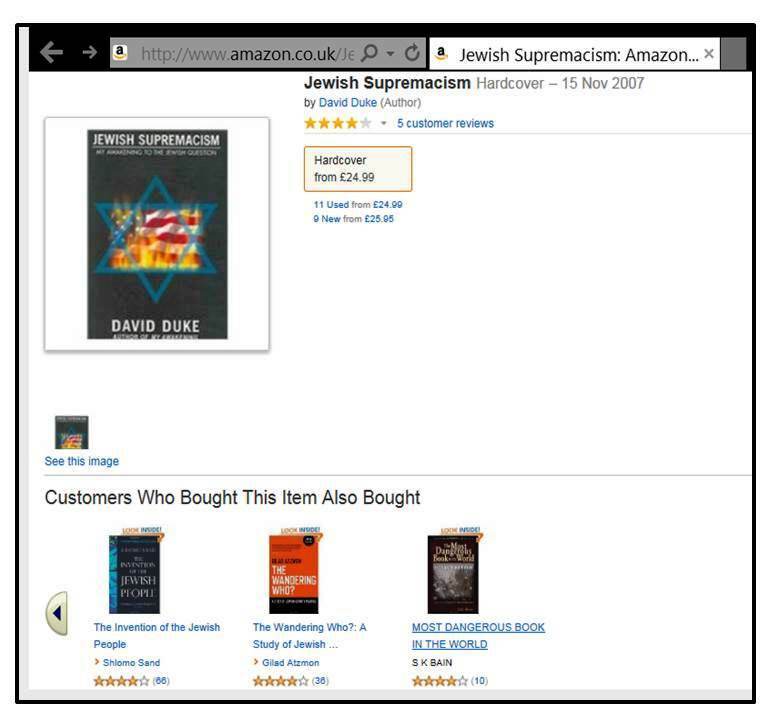 https://www.stormfront.org/forum/t660227/ and https://www.stormfront.org/forum/t660836/ ); Amazon UK customers who buy David Duke’s insights on “Jewish Supremacism” also tend to buy Sand’s first book as well as Gilad Atzmon’s vile screed “The Wandering Who” (and apparently, the official website promoting Sand’s first book linked to an enthusiastic review by Atzmon); Iranian Press TV invited Sand to promote his book on the “Invention of the Land of Israel;” and Sand’s defense against criticism of his most recent book in Ha’aretz was reposted at the viciously antisemitic blog “The Ugly Truth”. When Sand was told about his admirers on sites like Stormfront after the publication of his first book and asked if he was worried that the book might “be exploited for pernicious ends,” he answered dismissively: “I don’t care if crazy anti-Semites in the United States use my book.” Reportedly, he did express concern about “how the forthcoming Arabic translation might be received in the Muslim world” – but it seems that ultimately, he was just “disappointed” that he wasn’t even invited when the Arabic-language edition of his book was published in Ramallah. 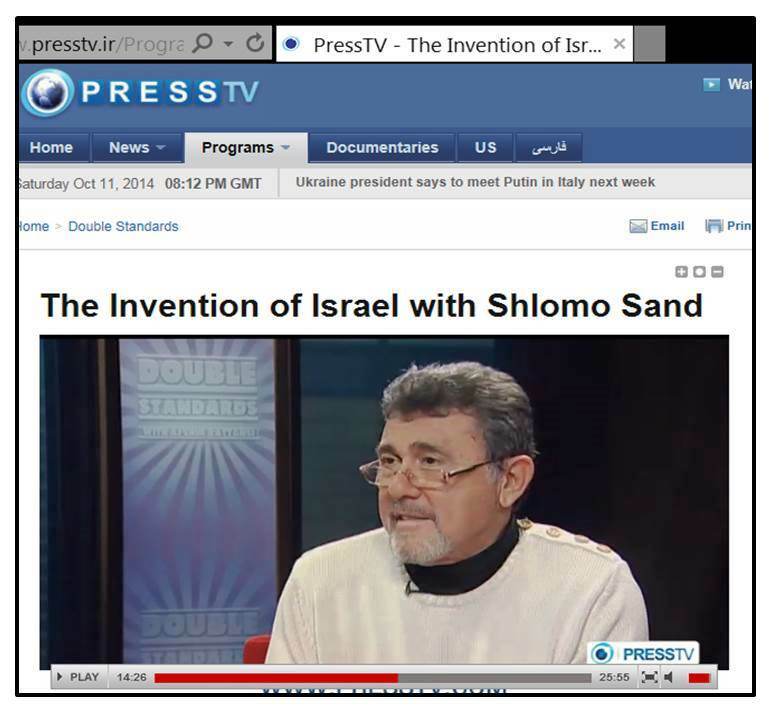 However, Sand was hosted at Jerusalem’s Al-Quds University by Professor Sari Nusseibeh, who served as the university’s president at the time, and this was certainly an honor that would not have been bestowed on anyone who had written books on “The Invention of the Palestinian People” and “The Invention of the Land of Palestine.” Indeed, one shudders to think how an author promoting those titles would be received by Sand’s admirers. For some reason, it was featured there with an image of the Nazi-publication “Der Stürmer” in the background. In any case, to wrap up this installment of the Massad saga, I cross-post my own two commentaries below, with some minor modifications [as indicated]. However, a few additional points should perhaps be highlighted. “While the majority of Jews continued to resist the anti-Semitic basis of Zionism and its alliances with anti-Semites, the Nazi genocide not only killed 90 percent of European Jews, but in the process also killed the majority of Jewish enemies of Zionism who died precisely because they refused to heed the Zionist call of abandoning their countries and homes. 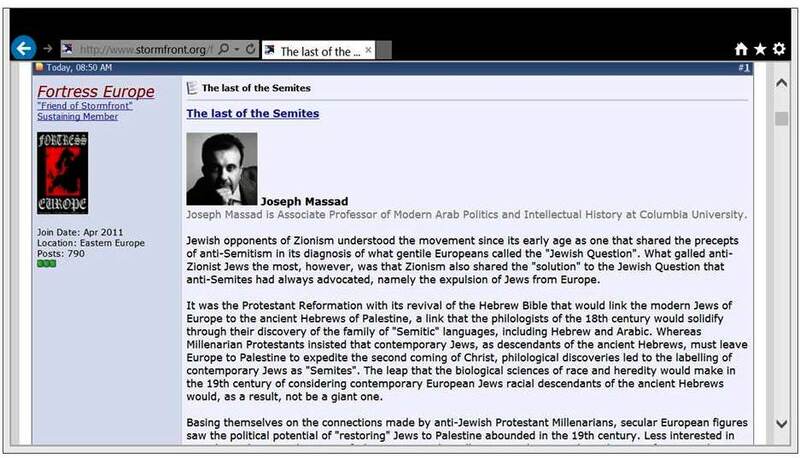 No doubt the politically correct thing to do is to regard Professor Massad as just another Israel “critic.” But one of Massad’s older Al Jazeera columns offers an excellent example of the professor’s methods and the kind of “intellectual” company he gets to keep as a result. As noted in a relevant section on “Ben Gurion and the Holocaust” in a longer post by CAMERA, “so-called ‘post-Zionists’ and anti-Zionist radicals” love to insinuate that the Zionists happily collaborated with the Nazis in order to promote immigration to Palestine irrespective of overall Jewish interests and the survival of Europe’s Jews. Massad’s Ben Gurion quote is taken from a debate that focused on Britain’s decision to deny the Jewish children from Germany entrance into Palestine, giving rise to the concern that the British offer to instead take these children to Britain would only help to undermine the idea that British Mandate Palestine should serve as a safe haven for Jewish refugees, which would ultimately leave many desperate refugees without any place to go. 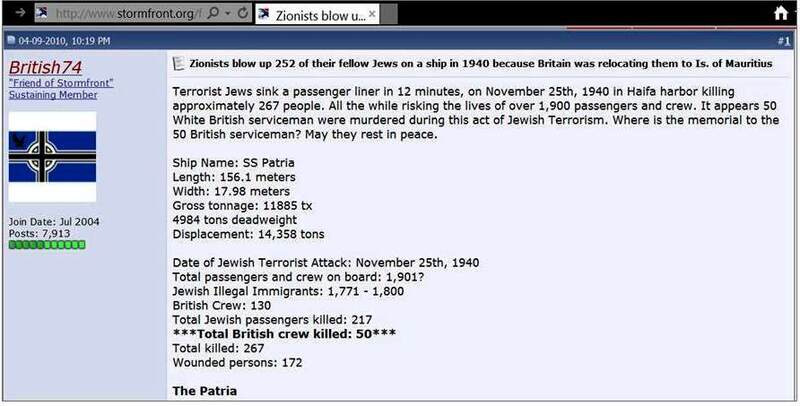 However, very different from what Massad suggested, there was of course no intent to blow up the ship – named Patria – that carried almost 2000 Jewish refugees from Germany, Austria and Czechoslovakia. The sinking of the ship was due to a tragically miscalculated explosive charge that was placed on board to damage the Patria in order to prevent it from sailing to Mauritius, where –bowing to Arab pressure and violence – the British authorities intended to deport and intern the refugees. Now, do you care to guess where else the kind of “evidence” marshaled by Massad is popular for very much the same purpose? 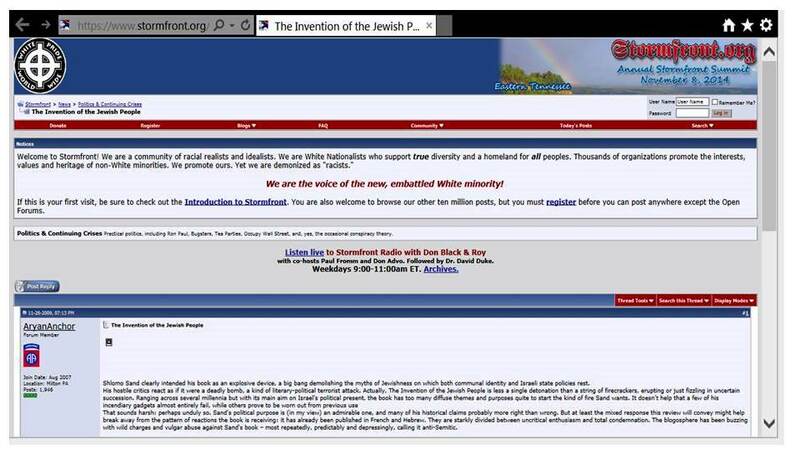 Yes, indeed: at Stormfront – the neo-Nazi “White Pride World Wide” hate site. 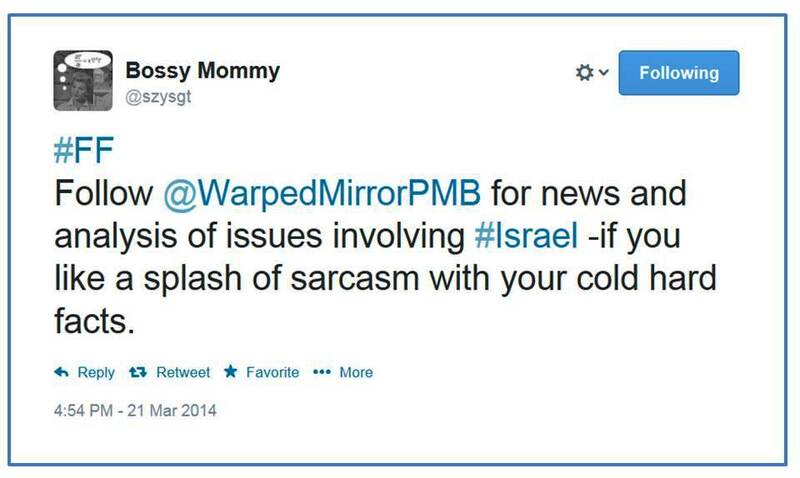 Clearly, the “Friend of Stormfront” who posted this would appreciate Massad’s use of the Patria incident. But there is much more: scroll down a little bit on this same page, and you’ll find a text that is sourced as a quote from David Duke’s notorious “minor league Mein Kampf” – and as it happens, it’s pretty much identical to what Columbia University professor Joseph Massad wrote in his Al Jazeera column. Stormfront isn’t a site I would normally link to, but there is arguably no longer a point avoiding such sites if their offerings are mainstreamed on Al Jazeera English by a professor from a highly regarded American University. 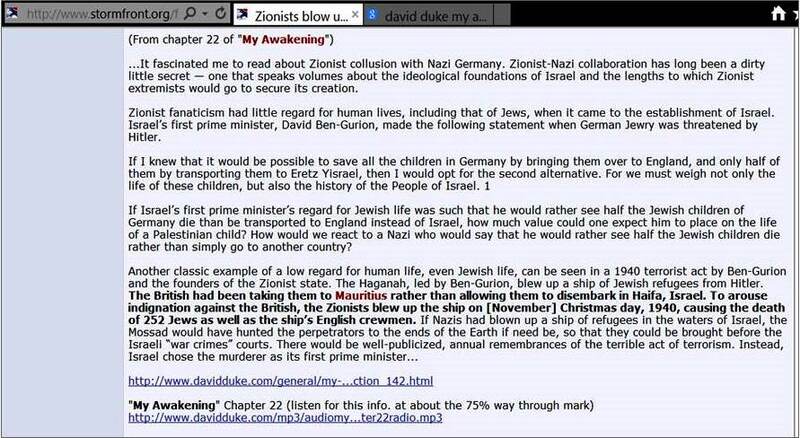 So here is the link and an image of the David Duke text that includes the Ben Gurion quote and the Patria incident. So should we conclude that this is where Professor Massad looks for his “evidence”? Or is it perhaps just a case of not so great minds thinking alike? After all, former Klansman David Duke uses the Ben Gurion quote to argue that if “Israel’s first prime minister’s regard for Jewish life was such that he would rather see half the Jewish children of Germany die than be transported to England instead of Israel, how much value could one expect him to place on the life of a Palestinian child?” And Professor Massad uses the same quote for an article asking “Are Palestinian children less worthy?” And then both David Duke and Professor Massad go on to mention the Patria incident… Ah, what a coincidence! 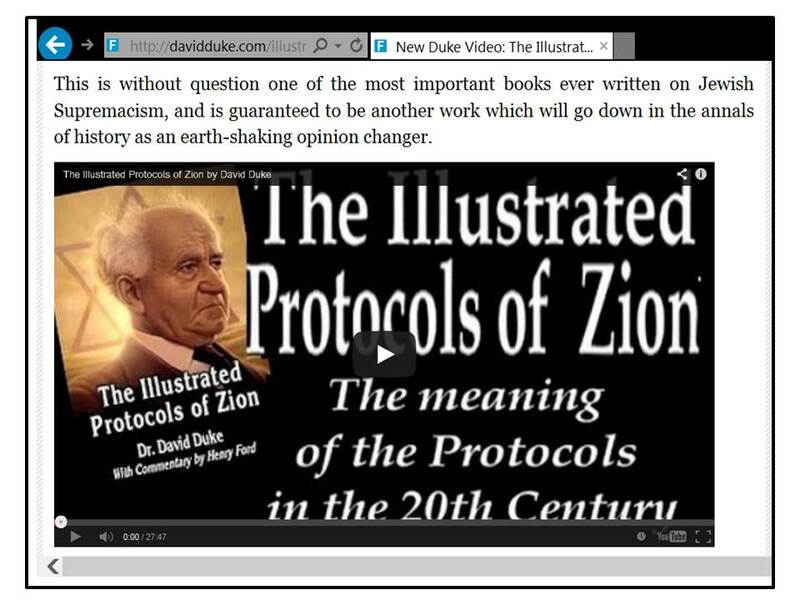 But lo and behold, there are more examples of David Duke and Joseph Massad thinking alike: both like to talk about “Jewish Supremacism” – and needless to say, the fans of White Supremacism at Stormfront agree that this is a very worthwhile topic. Similarly, both David Duke and Joseph Massad are adamant that the Jewish state is inherently racist – and when it comes to Israeli racism, even Stormfront fans are of course appalled! To be sure, Massad is far too sophisticated to engage in the fevered antisemitic conspiracy theories that come natural to David Duke. At the same time, Massad is not too sophisticated to keep repeating utterly misleading claims about how “helpful” European antisemitism and Nazism was for the Zionist project. When it comes to one of Massad’s favorite topics – the efforts of German Zionists to facilitate the emigration of German Jews to Palestine by collaborating with Nazi authorities – he would probably claim to rely on Francis R. Nicosia’s book on “Zionism and Anti-Semitism in Nazi Germany.” But while Nicosia emphasizes that, given the historical context, it would be completely unjustified to suggest any moral or political equivalency between the Nazis and the Zionists, Massad keeps insinuating exactly such an equivalency. Massad writes about this issue as if history had not vindicated the Zionist conviction that Jews urgently needed a homeland as a safe haven – and of course, he also ignores that the expulsion of Jews from their ancient communities in the Arab and Muslim world provided yet another vindication for Zionism. 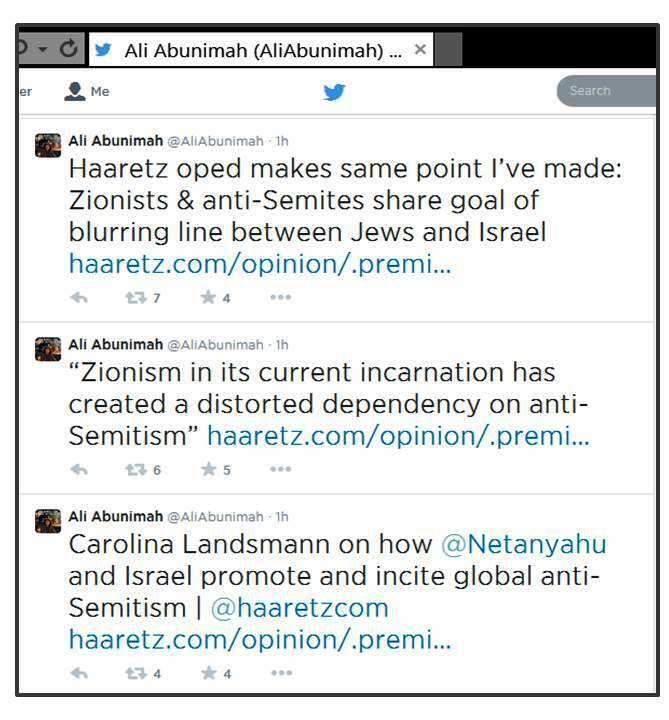 7) “Zionists welcomed the Nazis’ anti-Semitic policies. Like the Nazis, they believed in race-based national character and destiny. Like the Nazis, they believed Jews had no future in Germany. 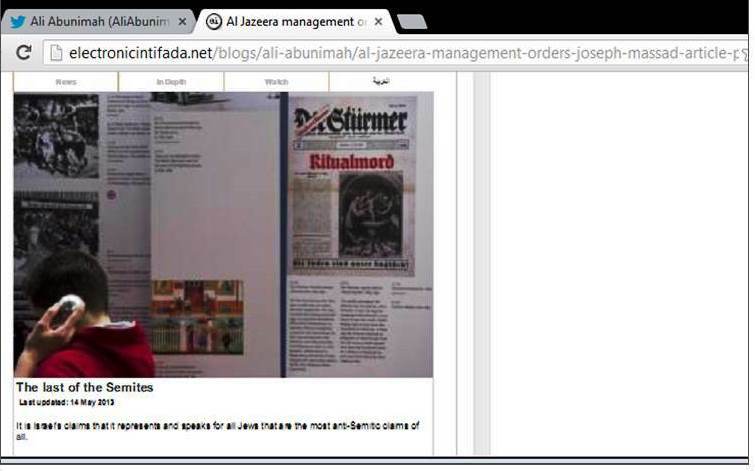 Al Jazeera has deleted Massad’s op-ed “The Last of the Semites” from its website. Columbia University professor Joseph Massad has been at it for years, but for some reason, his latest op-ed for Al Jazeera finally made many people sit up and pay attention to Massad’s relentless efforts to taint Israel and Zionism with preposterous Nazi-comparisons and claims of Nazi-collaboration. 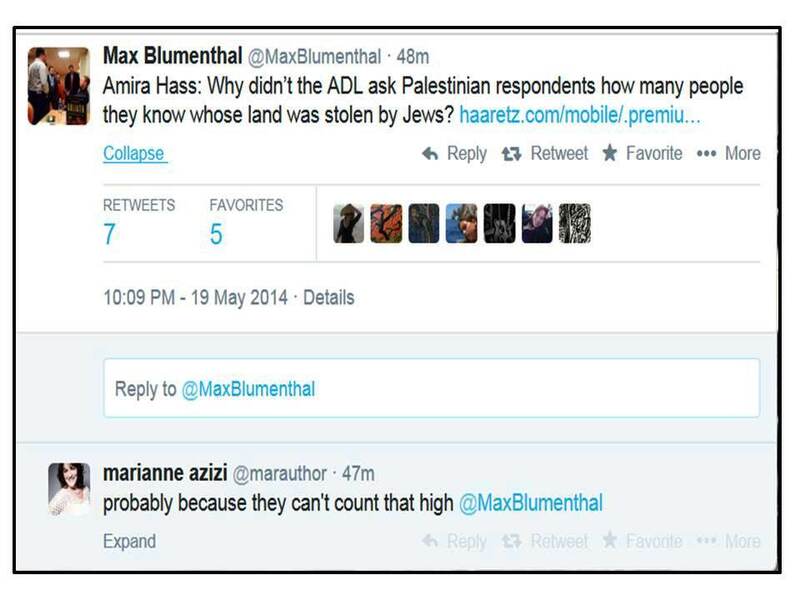 Indeed, Massad – who works at Columbia University as an expert on “modern Arab politics and intellectual history” – faithfully reflects the antisemitic demonization of Israel that is so commonplace in the Arab media and that keeps poisoning Arab politics. Whether the resulting ideas are articulated in a Columbia University classroom or on Al Jazeera or Stormfront makes little difference as far as their substance is concerned. I tried to illustrate this point in my recent post on Massad with some quotes that are either from Massad or from Stormfront – see if you can tell them apart . 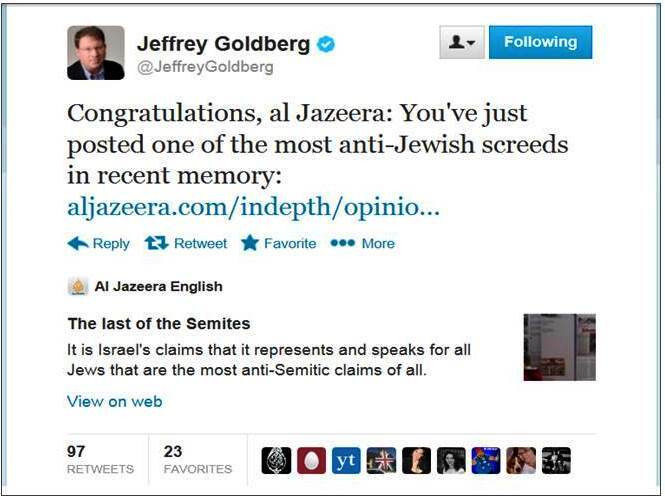 Needless to say, Massad and his admirers who enthusiastically endorsed his recent column – among them Max Blumenthal of Mondoweiss, Ali Abunimah of the Electronic Intifada, and the “Angry Arab” Professor As’ad AbuKhalil – would all insist, just as Massad claims in his Al Jazeera piece, that their staunch anti-Zionism means quasi by definition that they can’t be antisemitic, even if they propagate the same perverted tropes that are popular on Stormfront. 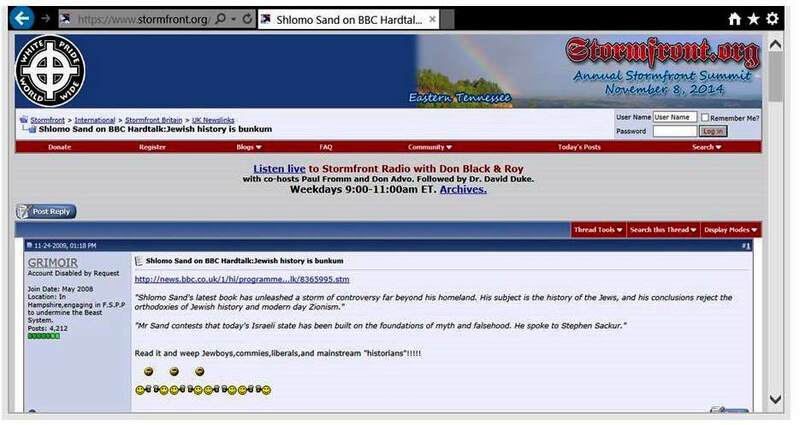 I just saw that Massad’s column on “The last of the Semites” is being shared and debated at Stormfront.